The wife of Lehi and mother of Laman, Lemuel, Sam, Nephi, Jacob and Joseph and some unnamed daughters. She left a comfortable life in Jerusalem to follow her husband into the wilderness. The first part of the journey seems to have been where we see her biggest crisis of faith. When her sons were sent back to Jerusalem to get the brass plates from Laban, she worried, complained against Lehi and insulted her husband. She does not seem to have softened her heart to the Lord's purposes until she sees her sons return in safety. 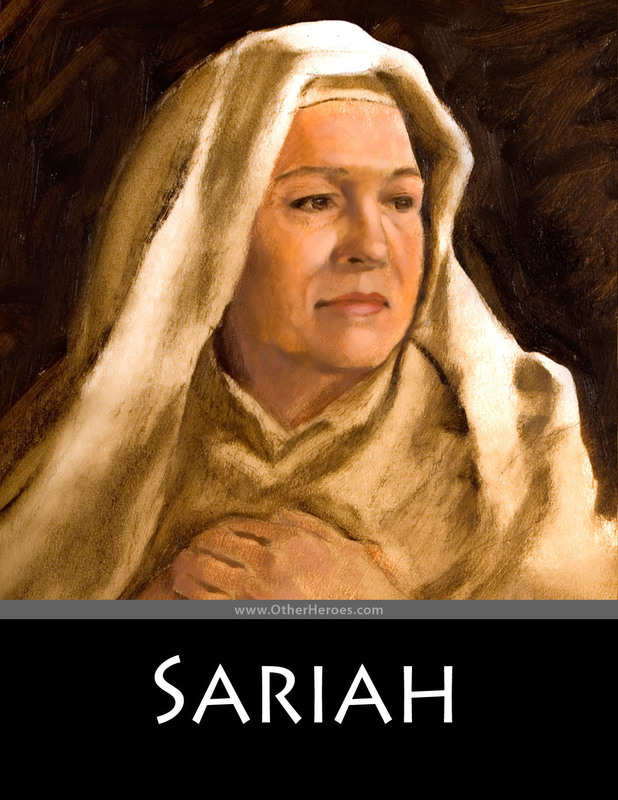 Sariah voices her testimony on that occassion, "Now I know of a surety that the Lord hath commanded my husband to flee into the wilderness." As far as the record tells, she remained faithful from that point even when her husband had his crisis of faith (1 Nephi 16:25). She lived to arrive at the promised land with her family but probably not long beyond that.